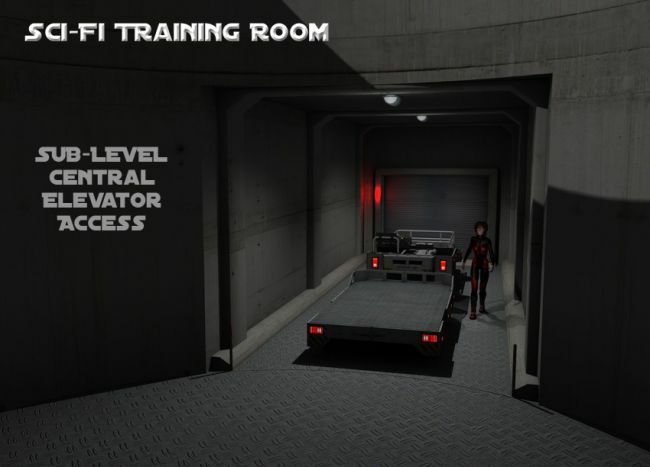 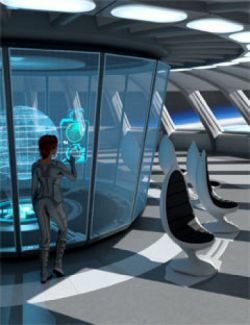 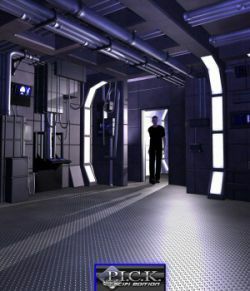 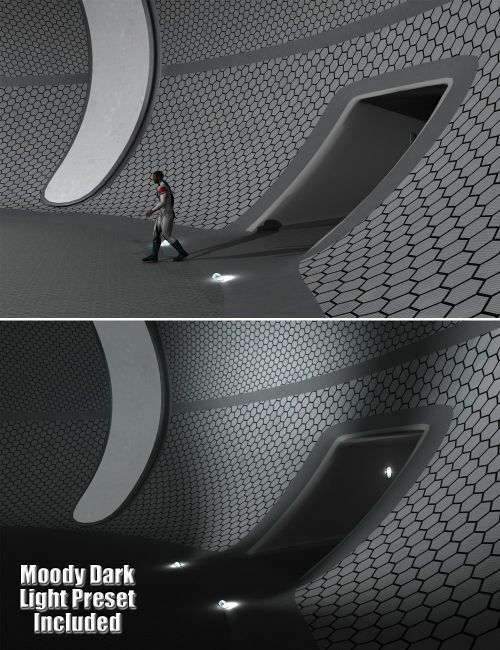 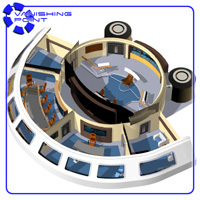 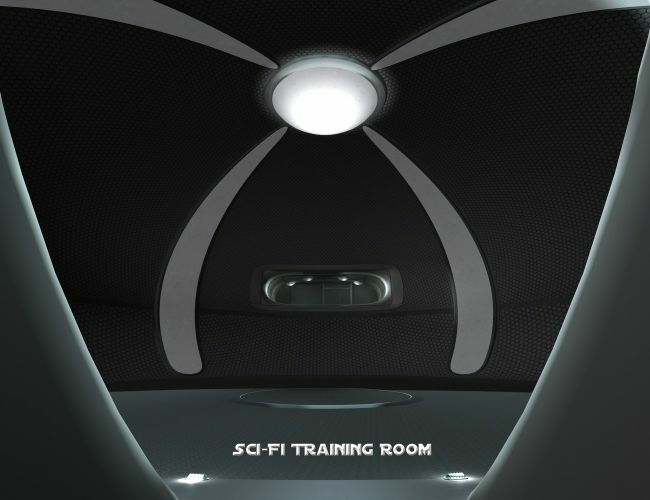 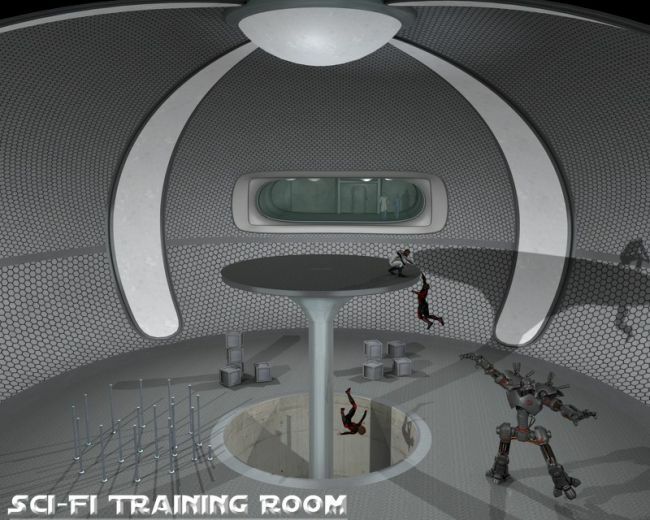 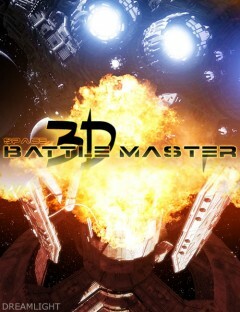 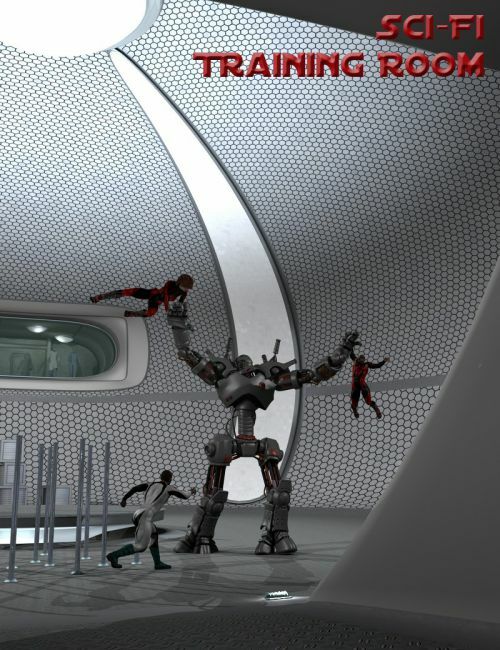 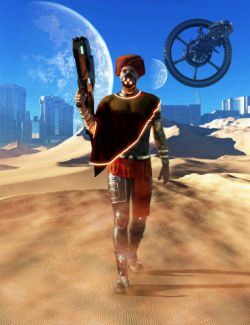 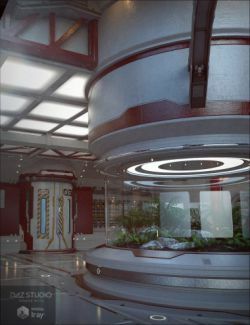 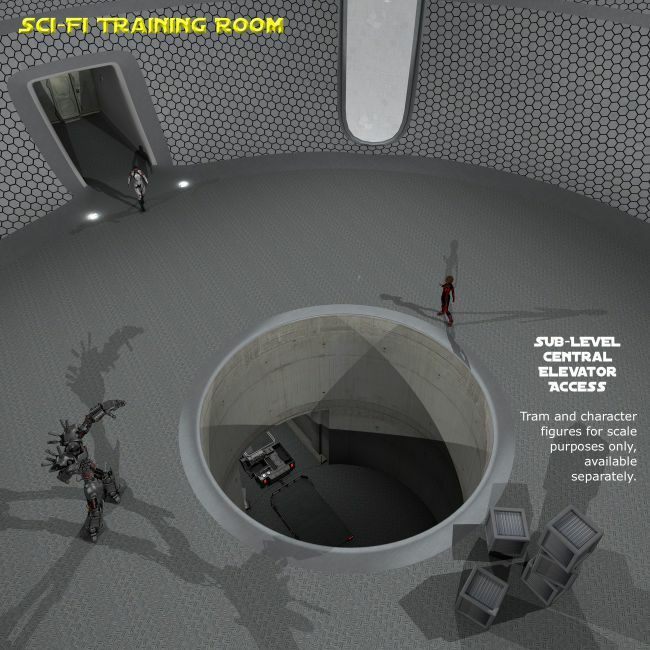 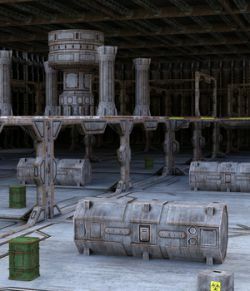 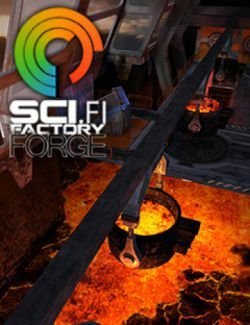 Sci-Fi Training room is a full 3D interior environment, offering a space to engage in classic battles. 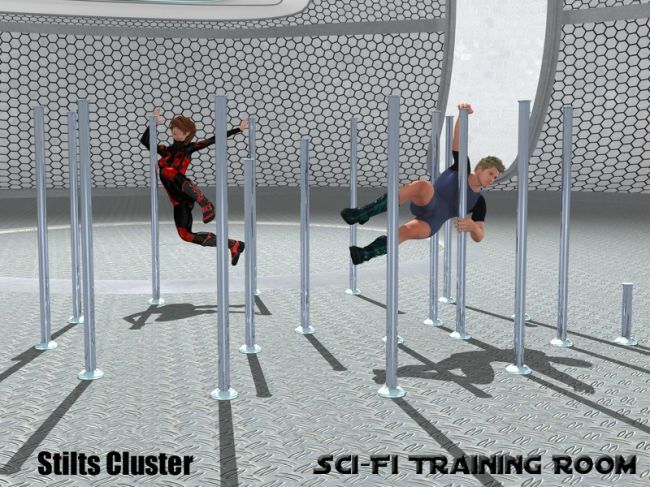 You have your heroes, now give them a space where they can engage in the proper training. 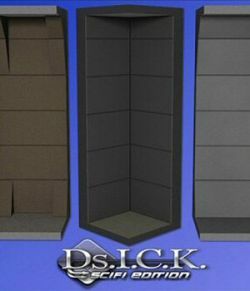 The large space boasts a useful central elevator to bring in supplies through the basement sublevel. 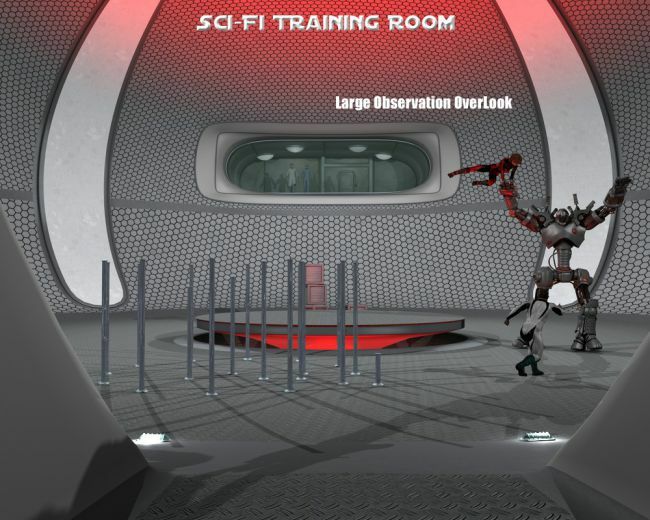 There is also an overlooking observation area for research to watch the heroes being put through their paces. 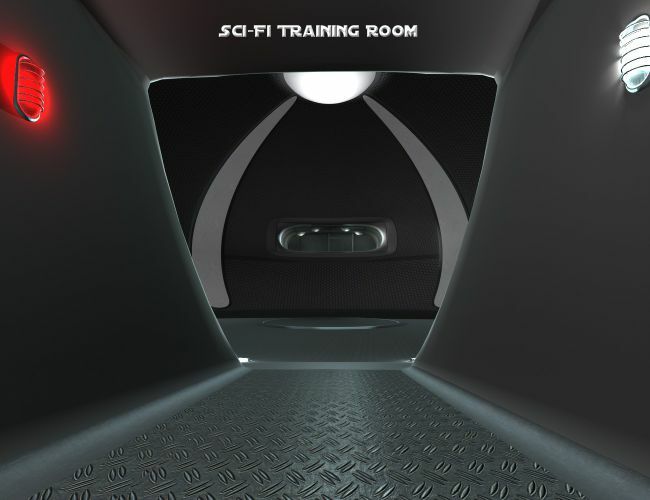 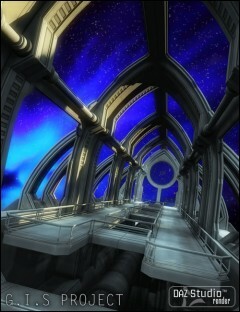 Both the main entrance and the observation room doors slide opened and closed. 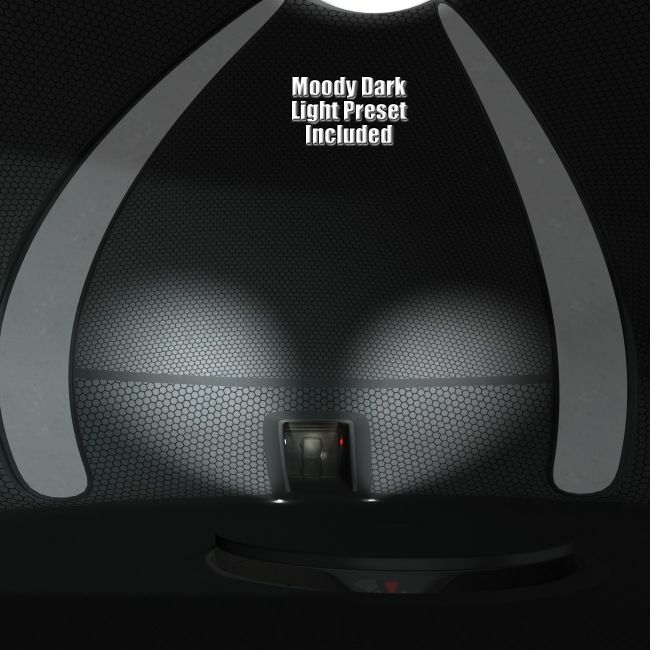 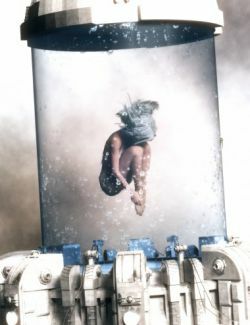 There are two lightsets included, a bright training environment, and a moody dark version that casts plenty of shadows. 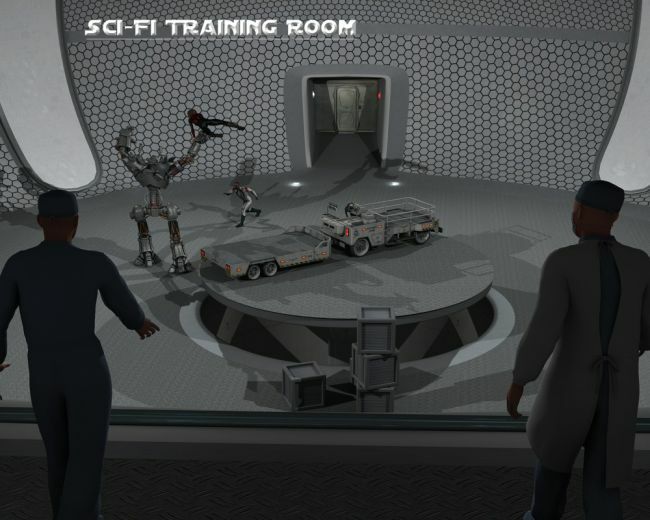 There are also some basic training props included. 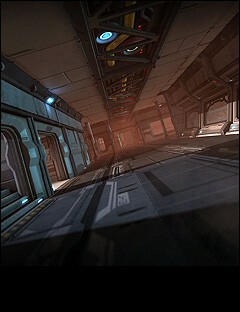 Get ready for this space, because this room can be dangerous.